Posted on August 31, 2016 by Joseph Alban, L.Ac. There are many reasons to love smoothies; they’re delicious, healthy, and portable! A well-made smoothie can provide you with a serving, two, or three of your daily requirements of fruit and vegetables, all in one glass. It’s the perfect no-mess commuter breakfast, lunch-when-there’s-no-time-for lunch, and that extra boost needed to get from work to the gym. And, depending on your recipe, they’re even pretty colors! But did you know, you can take that smoothie to the next level by adding some amazing herbs? To boost your smoothie’s “super powers”, consider these two herbs for starters, easily found at a health food store. Wolf berries or Gou Ji berries (often spelled Gouji or Goji) give a real power house kick of antioxidants. Just a small amount of the berries, which have a slightly sour tang while still having a sweet side, tonify the blood, and expand the Qi, the life force. It is the perfect complement to sweeter fruits in a typical smoothie, as well as been so jam-packed nutritionally. Tossing in some hemp seeds will provide you with a terrific blast of protein and healthy, necessary fats such as Omega 3 and GLA. It’s an anti-inflammatory “magic bullet”, with benefits ranging from reducing skin rashes and irritations, improving digestion, and in general, keeping the body “all systems go”. In Chinese, hemp seeds are called hou ma ren and are used for moistening the skin and keeping digestion regular. Here is a recipe for a delicious smoothie to enjoy any time of the day. It takes advantage of the seasons scrumptious produce and the tastes complement each other. Enjoy! You can also toss in some cocoa nibs for an extra anti-oxidant punch! Blend all together in food processor or blender. Blend it all together. This will make 2-3 servings. Makes a fantastic alternative at happy hour! 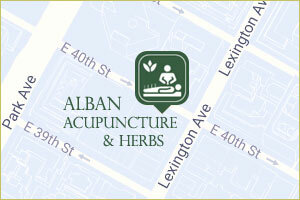 Joseph Alban is a New York Licensed Acupuncturist and Board Certified Herbalist providing the highest quality Acupuncture and Chinese medicine care tailored to your needs. Next PostNext What is a Trigger Point?